The Cologne Philharmonic is one of the most recent concert halls in the Federal Republic. The plans for this began in the 1970s, during which a redesign of the area at the Cologne Cathedral was negotiated. At first, only one multi-purpose hall was planned, but Cologne had always been missing from a concert hall. For this reason, it was decided to build a concert hall. The building was opened after a 6-year construction in 1986 and is located in the building complex of the Museum Ludwig and the Wallraf-Richarts-Musueum. The hall is located underground under the Heinrich-Böll-Platz between the two museum buildings and is free-floating to ensure optimum acoustics. However, the above situation leads to the fact that louder noises are transmitted to the building on the floor of the Heinrich-Böll-Platz, such as pumps or cartons. For samples and concerts, therefore, the area above the Philharmonic must be monitored in such a way that no noise from the outside penetrates. Another problem is that the new subway of the city of Cologne should only be two meters below the concert hall. Here, too, noise has been a problem. As a result, the sound insulation below the room has to be greatly improved. The interior architecture of the Philharmonic is modeled on an amphitheater. It was abandoned by the architect on walls that could produce an echo. The acoustics were calculated down to the smallest detail. So even the armchairs are custom-made, so that the acoustics do not change even when a person sits on it. Color is dominated by bright to medium brown tones, which are supplemented by red seats. This combination is exemplary for the architecture of the 80s. While the main theater area has the already mentioned amphi theater form, there are several seats and lounges behind the orchestra. While originally no organ was planned for the building, the installation of an organ was decided shortly before the end of the planning period. The organ player himself remains invisible, while the position of the organ fits perfectly into the acoustics of the Philharmonic. The organ is located on the left side of the auditorium and represents an architectural counter-pole to the spiral staircase on the other side. On opening in 1986, the Philharmonic was celebrated for its breathtaking architecture and acoustics, with the exception of the problems with the passing square. As a result, there have been extraordinary and successful guest performances by many renowned orchestras, artists and ensembles. To date, nationally and internationally acclaimed musicians and artists regularly perform in the Philharmonic and strengthen the already marked Cultural Life of the City of Cologne immensely. Among the guest appearances in the following years are the Viennese and the Berlin Philharmonic, as well as the Chicago Symphony Orchestra, as well as artists like Ray Charles and Al Jarreau. The Cologne Philharmonic has two orchestras: the WDR Symphony Orchestra and the Gürzenich Orchester Cologne. The tradition of the Gürzenich orchestra can be traced back to the 15th century. In the beginning of the 19th century Gürzenich orchestras replaced the cathedral chapel. The orchestra received its name at the time, named after its old residence in the district of Gürzenich. The orchestra is closely interwoven with the history of the Cologne Cathedral, but the position of the conductor of the orchestra - the city captain - was the post of the director of the residence orchestra of the Cologne Cathedral. In its heyday of the end of the 19th century and the beginning of the 20th it was the Gürzenichorchester, which premiered various epochal masterpieces of the Romanticism of Brahms, Strauss and Mahler. At that time still in the Festsaal of the district Gürzenich. Since the opening of the Philharmonic the orchestra is now located directly at Cologne Cathedral. The WDR Symphonieorchester can only look back on a much shorter history - this orchestra was created with the founding of the Nordwestdeutscher Rundfunk (NWDR) and has thus owes its name to modern avant-garde composers such as Igor Stravinsky and Karlheinz Stockhausen. At the beginning, the orchestra was still under the name "Kölner Symphonieorchester". However, this name was recorded in the beginning of the nineties and unnamed in WDR symphonic orchestras according to the tradition of the orchestra as a television and radio orchestra. She has also been living in the Cologne Philharmonic since 1986. In addition, many smaller Cologne chamber orchestras and ensembles have their cultural home here. However, the two orchestras are not the only ones to play in the concert hall more often. The program is just as diverse as the music itself. Apart from classical music from all epochs, concerts from the fields of pop, jazz, chamber music as well as comedy events (such as Helge Schneider) take place in the rooms of the Philharmonic. Today more than 400 concerts are held annually in the Philharmonic Hall. In the 2016/2017 season, the Philharmonic now celebrates its 30th birthday and has put together a program with many renowned national and international guest performances. The program includes not only the concert series for cultural and music lovers, but also special programs for children as well as for young people. The aim is to provide young people with access to the music. Thus the Philharmonic already offers concerts for infants and makes the visit to the Philharmonic a family event. In five age categories, parents can experience music new, and for the children for the first time. These concerts take place not only in the great Philharmonic, but also in small venues throughout the city of Cologne. For students, the Philharmonie, together with Lanxess, offers a student subscription, with which five concerts for only 28 € can be attended. But also for students and their parents there are certain advantages for example in the so-called "Phil-Club". There are already tickets from 5 €. The philharmonic orchestra has a lot to offer for those who do not come from Cologne. Shortly after the end of most concerts of the Gürzenich orchestra, they will be recorded on the Internet and can be consumed free of charge with the "Go Plus" app. In addition, the Philharmonie offers various reductions for different groups of people or frequent visitors, for example by subscriptions for concert series. And not only in the evening there are concerts in the Philharmonic, almost every Thursday there is a half-hour "Appetithäppchen" of classical music. This way, the lunch break can be sweetened and energy can be collected for the rest of the working day. 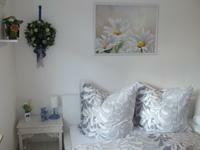 Also to visit this highlight our apartments are the best accommodation. 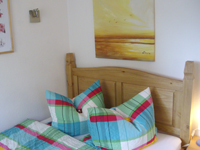 So close to the center of Cologne and at such a fair price you can hardly stay in Cologne. Book our apartments, so you can reach many attractions of Cologne on foot, while from other accommodations only by car (the hour in a car park in Cologne costs about 1.50 EUR - indication without guarantee) or by train Several stations: drive also at least 2,50 EUR - indication without guarantee) into the center! If you stay with us, walk to the Philharmonie Cologne!